Since that is just a side dish, I decided to have some salmon as the side to my side dish. I was going to make a Asian-inspired marinade. However, I went to by my groceries at Fairway since I have been hanging out on the Upper East Side recently, and the precooked salmon was too tempting. For those of you who have never been to Fairway, it is an epic, epic grocery story. It has everything from very fresh produce to crazy olive oils to Cheerios. I picked up some blackend salmon there. First I prepped everything. Usually Ray-ray does that as she cooks, but I just feel more secure having everything laid out and ready to go. 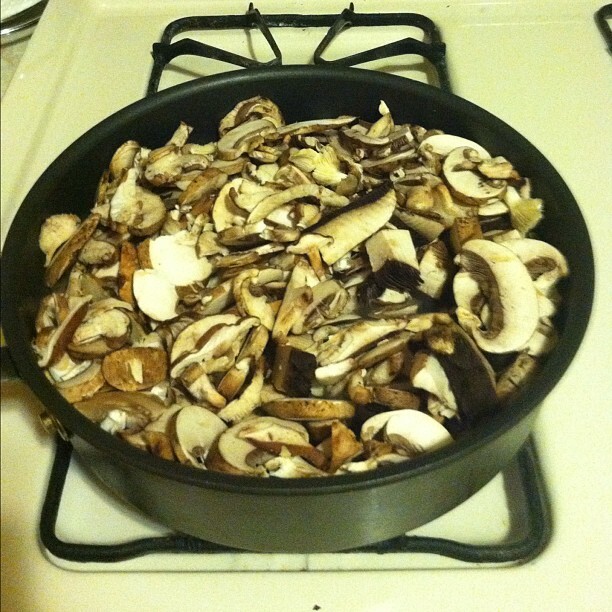 Above is my giant pan of mushrooms! The dish turned out pretty good even though the cream did not quite “sauce,” and I still have trouble reducing liquids. 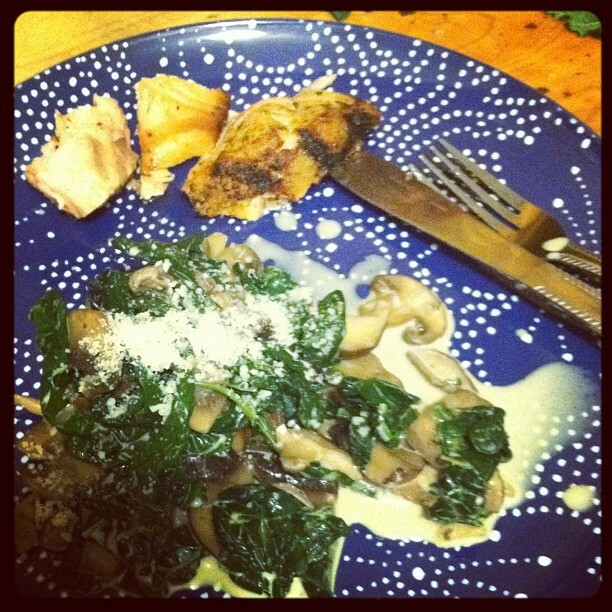 The mushrooms, Marsala, and kale really complimented each other. The salmon was a nice, light addition to the meal. If I ever need to bring a side to a party, this is one I would make again. Hey there! Someone in my Myspace group shared this site with us so I came to take a look. I’m definitely enjoying the information. I’m book-marking and will be tweeting this to my followers! Superb blog and fantastic style and design.